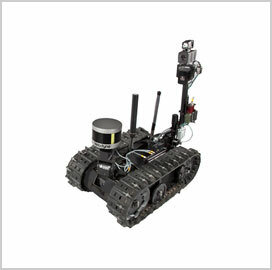 QinetiQ North America has received a potential five-year, $90M contract to help the U.S. Army modernize and sustain a family of robotic systems designed to neutralize explosives and support other military missions. The company will provide reset, maintenance and recap services for the Tactical Adaptable Light Ordnance Neutralization robots, the Department of Defense said Monday. Army received one bid for the firm-fixed-price contract via an online solicitation. The service branch will provide funds and performance locations per order and it expects the company to complete work by Dec. 16, 2023. TALON is designed to help military, public safety and law enforcement personnel conduct explosive ordnance disposal, communications, reconnaissance, rescue, hazardous material handling and heavy lift operations.